This is a heart-warming story of friendship, diversity and acceptance. When a deaf girl and a homeless dog form a unique bond at the local park, magic is sure to follow. Reena’s ears might not work like the other children’s ears do, but her eyes see everything at the playground where she joins in with a game of hide and seek. Her eagle-eye vision picks out every hiding place when she is ‘he,’ but alas, when she herself is hiding her eyes cannot see that the game is over – nor can she hear the calls of the other children. Reena is left alone at the park because she cannot hear that the game has ended. ‘Why am I different? Reena asked. The idea of us each being a unique part of a larger whole is a simple but effective one that plays out through the story. By the end of the book Reena, the homeless dog and the other children at the park do all ‘come together’ as one. Friendly, colourful and joy-filled illustrations work beautifully to bring this story to life. 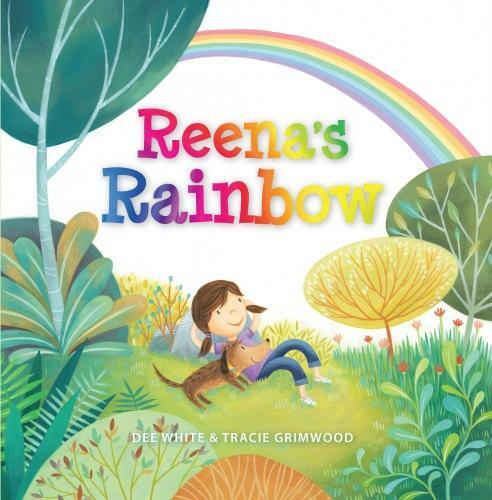 Reena’s Rainbow, with its clear and simple message, reminds us that people’s differences can certainly be something to celebrate.